The Honors Program in the Department of History provides a small number of highly qualified and motivated history majors with intellectual enrichment, rigorous training, and recognition for unusual achievement, leading to graduation from NC State with Honors in History. Additionally, the History Department invites participating students to attend faculty seminars and other academic and social events, to meet visiting scholars, and to make their own contributions to the intellectual vitality of the University. 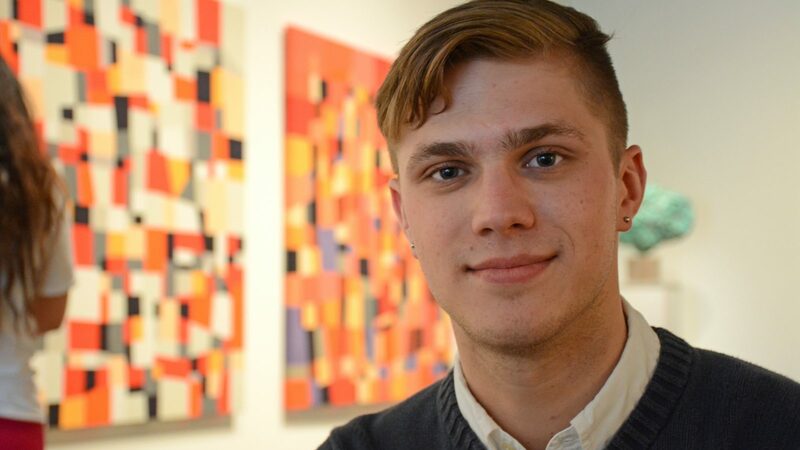 Honors student Kyle Canter followed his growing interest in the history of photography to museums, galleries and archives across Europe. a GPA in History courses of at least 3.3 with a minimum of nine hours completed. Students accepted into the Honors Program are expected to maintain these minimum GPAs. As a part of successfully completing the Honors Program, students must achieve an overall GPA of at least 3.25. Honors Students must participate in the non-credit Honors Seminars. For most students, the first contact with the Honors Program in History comes with an invitation to participate in the Honors Seminars. These non-graded, non-credit seminars are conducted by various members of the History Department, and occasionally by visiting scholars. In these sessions, usually three evening meetings each semester, students and faculty gather informally to discuss a common reading. The assignments are chosen so as to represent the very wide range of topics and approaches that historical inquiry encompasses — from established classics to some of the most recent and controversial works. Attendance at the Honors Seminars is required of all students graduating with Honors, but all interested students whose Grade Point Averages (GPAs) would qualify them to participate in Honors course work are invited to attend. The Department of History will, unless future financial constraints make it impossible, purchase the required books for those students (up to a maximum of 12 participants) who agree during the Spring pre-registration period to attend the Honors Seminars in the following academic year. Students completing Honors in History will take a two- or three-semester sequence of research and writing courses as part of their selection of Advanced Electives. The end product is the Honors Thesis, a substantial piece of original historical work.